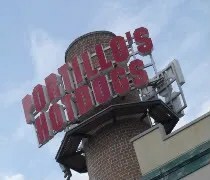 I said this a month ago when I reviewed the Portillo’s in Crestwood, IL (review HERE). I LOVE PORTILLO’S! The thing I miss the most about Illinois and Chicago cuisine is the Italian Beef sandwich so anytime I get a chance to get one, I make sure I do.